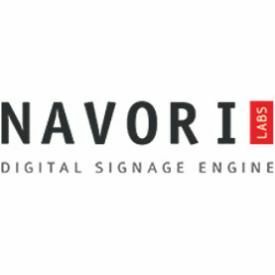 Navori Labs will unveil its next-generation QL digital signage engine at Digital Signage Expo 2017 later this month. Navori QL 2.0 offers a completely redesigned user interface, support for 34 languages and a robust backbone to serve the largest out-of-home networks among other new capabilities. The company will demonstrate its complete feature set at Booth 1413, March 29-30 at the Las Vegas Convention Center. The fully HTML5-based QL 2.0 system, deployable in the cloud or on-premises, represents the latest digital signage software refresh for Navori Labs, which remains committed to a strict seven-year schedule for each comprehensive overhaul. As with previous generations, QL 2.0 features three distinct elements, each with a comprehensive set of features and user benefits, the QL 2.0 Server, Content Manager and Player. The QL 2.0 Server is scalable and fault-tolerant with load balancing to manage thousands of players across enterprise networks. Automatic failover strengthens network uptime while connectivity to third-party content delivery networks (CDNs) extends reach. A special software development kit (SDK) also expands customization options. The QL 2.0 Content Manager features new adaptive HTML5 user interface at its core, Content Manager both simplifies and enhances the way users work with templates, video files, social media, tickers, tags and more across multiple seats, devices and operating systems. The QL Player 2.0 offers a native player engine across Windows, Android and Samsung Tizen. Operationally, QL Player 2.0 accommodates image and data feed pre-loading plus an enhanced API set to trigger events and establish interoperability with Navori add-on modules and third-party systems. This can include point-of-sale systems, sports scoring software, and advertising sales and scheduling. A built-in “watchdog’ application ensures all modules run properly and at peak efficiency. Most of QL 2.0’s flexibility begins with Content Manager. The ability to edit, update and upload a message or media file using any web browser or device empowers users to work from virtually any location, while drag-and-drop simplicity removes the coding and management complexities of working with social media and other real-time data feeds. On the social media side, both QL 2.0 Content Manager and Player automatically integrate with and update Facebook, Twitter, Instagram and Google Calendar feeds. The preview functionality also enables YouTube-style content viewing directly within the user interface, while an improved Template Designer adds the ability to see dynamic data instead of a rectangular fields reference. QL 2.0’s multi-lingual support and single sign-on authentication provide two additional benefits across opposite sides of the spectrum. Its native support for 34 languages ensures almost limitless possibilities for networks deployed across various regions, countries or continents. From a systems administration and management perspective, QL 2.0’s single sign-on authentication feature simplifies the way users can work remotely, while maintaining a high level of security for content and network protection.